The vanishing point. Nope, not as in the movie or part of a painting. I’m talking Namiki. The vanishing point is one of the brand’s most famous pens, and they’ve vamped it up to go with modern times. The collection is now bigger and better and available in a fountain pen or ballpoint pen. The fountain pen is larger, but the durable metal body and attractive appointments still keep the pen looking unique. You have the choice of an 18 carat gold fine, medium or broad nib, along with a vast array of deep and rich color finishes. All combinations are completed with rhodium accents to make the look sleek and contemporary. While all the colors that the pens come in are beautiful, one in particular stands out as particularly new and eye-catching; it’s black, but the middle of the pen looks almost splatter painted in all sorts of fun colors. There are little tiny spurts of blue, pink, yellow and green paint that looks like either spin art or a picture of a starry and clear night sky. I would definitely go with this one if you’re looking for something new and different. Namiki’s new design also comes in a retractable ballpoint pen that boasts many similar features to the fountain pen. 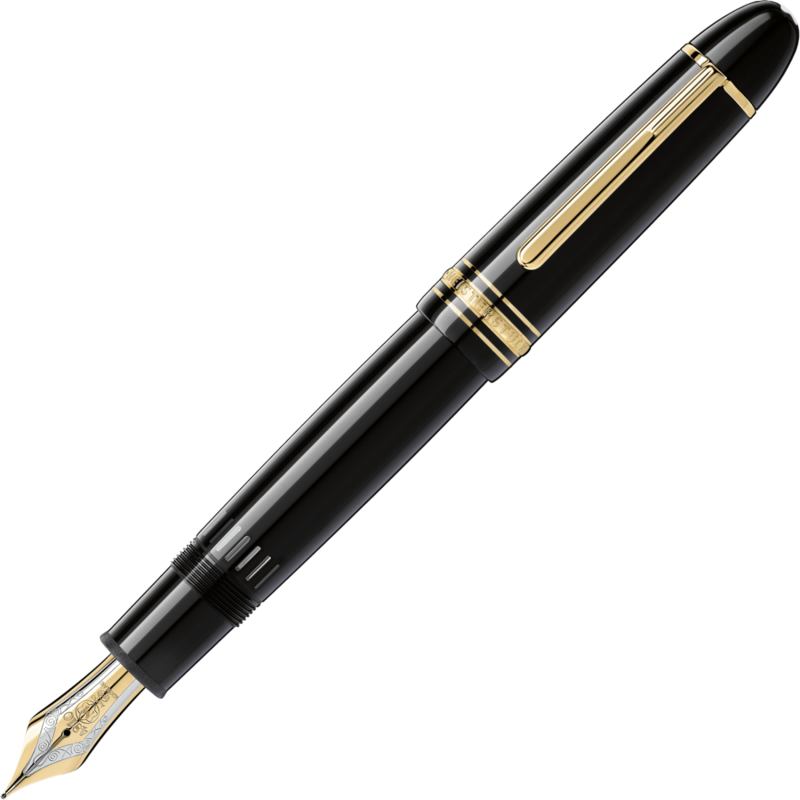 However, the body of the ballpoint is slimmer than the fountain pen, and can be yours in either blue or gun-metal. As with the fountain pen, the ballpoints are finished with rhodium accents to ensure the same modern, clean and classy look you’d expect from these Japanese artists. One thing is for sure: Namiki is here to stay, and the vanishing point is proof of that. Check them out at Executive Essentials! What first comes to mind when thinking about Japan? For me it used to be Japanese food of course, because I love to eat! However, now that I am immersed in the world of pens, it would have to be Namiki Pens, manufacturer of the most beautiful pens in the world. The Namiki Pens celebrate Japanese art! Japanese art has a long diverse history just like the Japanese people themselves. Over many centuries…… religions, wars, invasions and emperors have all contributed to the development of the vast collection of Japanese art that we are privileged to enjoy today and Namiki continues that tradition! Namiki Pens are unique, beautifully designed, luxurious writing instruments, works of art in their own right. When I look at the Namiki Golden Pheasant I think of beautiful Japanese paintings, furniture and sculpture. Not only are you getting a flawless writing instrument you are getting a thousand years of Japanese culture wrapped into one exquisite pen! While there are many fine Japanese restaurants to choose from when you’re craving Sushi, Fried Rice or Tempura ……there is only one choice when purchasing a fine Japanese writing instrument….and that is Namiki! What about incredible, how about amazing, maybe ingenious? These are the words that come to mind when trying to describe the number one selling pen from Namiki, the Namiki Vanishing Point Fountain Pen. The amazing technology behind these extraordinary pens has put it light years ahead of other fountain pens and it is now available in a beautiful shade of white. Not only will the technology blow you away, the smooth writing capability and flawless movement of these pens as they glide across your paper with their precision nibs and superior ink will have you hooked. The sleek clean appearance of the new white fountain pen makes it the perfect addition to this already sharp cutting edge collection. Try a Namiki Vanishing Point Fountain Pen today! Now available at Executive Essentials! The Namiki Pen Company is the original name of the company that would eventually become Pilot. However, the company re-emerged under the name Namiki to produce a different line of high-quality pens. The company is named after the founder Ryosuke Namiki. Namiki designs and pen products are made out of the Pilot factory in central Japan. However, the division that creates the Namiki pen designs is different from that of Pilot. Although the difference in style is clear, the quality and durability of the Namiki pens are as exemplary as that of Pilot. Not a surprise from this pen company that has been devoted to customer satisfaction for so many years. Being from Japan, it’s no surprise that Ryosuke Namiki would turn to his countries thousand years plus history of writing to pull inspiration from in the design of the pens bearing his name. Indeed, many of the collections that come out of Namiki, like the Emperor, Yukari, Nippon and Knight collection, are derived from the rich history of the Japanese people and the history of the magnificent east. In all of these collections, highly trained Japanese artists craft the finest raw materials into works of art using ancient techniques passed down from generation to generation. One of the most inspiring techniques is Maki-e lacquering. This is a painstaking process of inscribing patterns onto the pen using multiple layers. Instead of pure ink, the inscription is done with urushi, the sap from lacquer trees that grow in Japan. This laborious technique produces a rich, lush texture that produces stunning images with a warm hue and unique presence. With the rest of the pen adorned with 18 karat gold, silver and rhodium these pens are sure to please the most discerning collector and pen connoisseur. At Executive Essentials, we carry a huge selection of the Namiki brand including pens from their best collections. Take a peek below to see some of our favorites. The Emperor Collection from Namiki is created with the Togidashi-maki-technique involving multiple layers of. The Emperor Collection represents the finest pens that Namiki has to offer. Emblazoned on these fine writing instruments are exquisite interpretations of traditional Japanese designs. In this collection, you will find the Autumn Flower, Carp on Waterfall, Rabbit in Moonlight and Treasure. Each is designed with an 18 karat gold and rhodium accented fine, medium or broad nib and presented in a traditional wood gift box from the Orient. The Namiki Yukari Collection transforms traditional scenes from nature into fantastical scenes ripped from the pages of a story-book. The Flower Fence, the Flag and Moon, the Kingfisher, Fall Flowers and Hydrangea all have a defined atmosphere within the barrel of the pen that extends up and over the cap. Each pen is a miniature work of art that also seems to tell a short story. Like other collection from Namiki, these pens are handcrafted by artisans with renowned talents. Each pen comes with 18 karat gold nibs and clips available in fine, medium or broad. The most affordable of the high-end Namiki pens, the Nippon Art Collection is no less beautiful or majestic. The Nippon Art collection portrays classic Japanese ideas and beliefs using the beauty of the Hira-Maki-E technique against rich black lacquer backgrounds. Metallic and colored powders are sprinkled onto a design of wet lacquer and then polished with more lacquer. These pens have scenes such as Crane and Turtle, Dragon with Cumulus, Golden Pheasant and Chinese Phoenix. The Namaki Nippon Art Collection comes with 14 karat gold nib available in fine or medium. Each pen comes in a traditional oriental wooden box. A great pen at a great price. So take the time to look over the Executive Essentials catalog and marvel at the wide variety of Namiki pens that are on sale right now. This is a great pen company that has a lot to offer in both style and utility.